This post on 10 Thing to Remember When Creating a Brand Ambassador Program remains one of the most popular posts I’ve ever written. So to start off the new year, I wanted to do a deeper dive into the topic of creating and launching a successful brand ambassador program, and walk you through the process from the brand’s point of view. First, I have to say of all the consulting work I do, helping companies build out brand ambassador programs is probably the most fulfilling. I love the challenge of creating a plan that’s going to help companies better build relationships with their most passionate customers. It’s so rewarding to know that you’re helping to build something that will greatly help the brand, but even more importantly, that will provide a much better product and experience for the customer. Plan Your Brand Ambassador Program; How Does the Brand Benefit, and How Will Your Ambassadors Benefit? Who is our ideal brand ambassador? What relationship will we have with our ambassadors? To further expand on the second point, you want to as clearly as possible detail how your brand benefits from an ambassador program, and how your ambassadors will benefit. The benefits to both your brand and its ambassadors need to be clearly defined, and very obvious and desirable to both parties. Too many brands can clearly point to what they want to accomplish with an ambassador program, but they struggle to detail meaningful benefits to the ambassadors if they participate. This is why it’s so key to create solid benefits to the ambassadors. You want your ambassadors to be thrilled to join, in fact you want so many customers applying to be ambassadors that you could never accept them all. Think of it this way: Let’s say you want to launch a brand ambassador program because you want to increase sales of a particular product line by 20%. That’s a pretty heavy lift that you’re asking of those ambassadors, so you have to do some heavy lifting of your own and make it worth the ambassador’s while to join and then be committed to acting in a way that will help you realize that 20% increase in sales. The more clearly defined and OBVIOUS the benefits you offer ambassadors, the more likely they will be to want to join your program and help your program reach its goals. As far as measuring and tracking results: Clearly define what your goals are for your brand ambassador program. Maybe you want to increase sales, or decrease calls to customer service centers, or improve customer sentiment online. Start with your core goal, then clearly define precisely what you want to see happen. The more precise you are with your goals, the more accountable everyone will be for reaching them. Don’t just say ‘increase sales’, say ‘increase sales by 8% for the first year of the brand ambassador program’. And your KPIs will flow from your goals and desired outcomes. An additional note about goal-setting: Don’t be afraid to regularly revisit your goals and measurement tactics to make sure you’re on a realistic course. This is especially important during the first year of your brand ambassador program. Self-audit frequently, at least every 3 months, monthly is better for the first 6 months. There will be a lot of trial and error involved in launching your brand ambassador program at all levels. Be mindful of this, and don’t be afraid to change course if something isn’t working as expected. Before you do anything else as far as fleshing out your brand ambassador program, you need to know who will own it and who will fight for it internally. 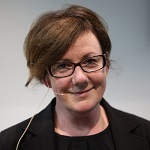 Ideally, you want more than one person who are customer-centric, and who can clearly communicate to their bosses the value of the brand ambassador program, especially in the early days when a direct impact on the business bottom line will be harder to quantify. These will be the people that understand how a brand ambassador program will benefit their brand, but they can also envision how such a program will improve the product and brand experience for the ambassadors, and all customers. The quickest way to ensure that your brand ambassador program fails is to put it on an island within your organization. Left by itself, a brand ambassador program could take years to see measurable results that justify its cost. At best. Few companies will be willing to invest the money necessary to reach that point. The good news is that a brand ambassador program can begin benefiting your company almost immediately, if structured correctly. Customer Service: Ambassadors will interact directly with customers both online and off, addressing their concerns and answering their questions. PR: Ambassadors will not only spread positive news about your company, they will also proactively defend it against trolls and attacks. Product Design: Ambassadors will collect valuable product feedback directly from customers, which your company can then implement to improve product design. Think of it this way; You’re not reinventing the wheel by launching a brand ambassador program. As my friend Kelly Hungerford says, a well-designed brand ambassador program makes everything your company is already doing, work better.
" A well-designed brand ambassador program makes everything your company is already doing, work better." For most companies, the idea of launching a brand ambassador program is a completely new initiative. There’s a steep learning curve involved at first, and much of the process will honestly be trial and error in the first days. To minimize the expense and improve efficiency, it makes sense to start with a smaller core group of ambassadors. The idea is that you want to iron out the kinks with a smaller group, then once you’ve got the process nailed (and you’re seeing the results you want), then you can branch out with a larger group. For example, if you are targeting single moms, maybe start out with a group of say 5 or 10 ambassadors, and over time as you develop your program, you can scale it out to 100 or even 1,000 single moms. If you want your brand ambassador program to drive sales at your retail locations, maybe focus on only your San Jose market at launch, with the idea being to eventually branch out into a national program. This can be something as simple as a Facebook or LinkedIn group or a Twitter group DM or a Slack channel. Also, you want to have the brand representatives that they will be working with regularly present and active in these groups as well. Beyond this group, you want to ensure that your ambassadors have as much direct access to your brand representatives as possible, as often as they need it. Let’s say one of your ambassadors is ‘in the field’ and talking to a potential customer about your product. The customer is considering purchasing your product, and asks a technical question that your ambassador doesn’t know the answer to. If your ambassador had a way to message a brand rep and quickly get that information, it could result in an easy sale. This works regardless of how you will be using your ambassadors and across many core functions such as sales, PR, customer service, customer feedback, etc. Think of the feedback collected from your ambassadors as being free market research. They will interact directly with current and potential customers, and get unfiltered product and brand feedback. The ambassadors will also have their own feedback to provide. Current and potential customers are more likely to give HONEST feedback to an ambassador than to your brand. Your ambassador will, for the most part, be viewed as just another customer by the people they talk to, so those people will let their guard down and give unfiltered feedback. That feedback may be more critical, but it will also be honest, and it will tell your brand exactly what it needs to do to win that customer’s business. Your brand’s ability to collect and utilize feedback from its ambassadors is one of the biggest benefits from launching a brand ambassador program. The feedback your ambassadors collect from other customers aids your marketing, PR, customer service, and even product design. It’s invaluable, and a core tenet of your ambassador program should be to design it so that a premium is placed on collecting customer feedback. Let’s take a closer look at each point. First, you must compensate your ambassadors. The level of involvement and work you’re asking of ambassadors is about the same as a part-time job. By compensating your ambassadors, you are communicating to them that you value and appreciate their hard work, and that you aren’t taking it for granted. This keeps them motivated to work hard on your brand’s behalf. On the other hand, if you don’t compensate your ambassadors, they feel as if you are taking advantage of them and their time. Because you would be. On the other hand, you should only compensate your ambassadors with cash if there are no other options. Paying ambassadors with cash frames their work as being a job. You don’t want the ambassador’s involvement to be viewed as work, you want it to be viewed as an act of love. They love your brand, and they want to work in a way to help grow and foster it. So if you take cash off the table, how do you compensate your ambassadors? I always tell clients that cash should be the last option and ACCESS should be the first. Give your ambassadors better access to your brand and its products. Let them talk directly with the people that bring their favorite products to market. Let them have a first-look at new products, before even the press gets a chance to review them. In fact, in many ways giving ambassadors early access to new products can be a simple extension of what your brand is already doing with reaching out to the press to let journalists review your products early before they hit the market. Treat your ambassadors as special people, because they are. Give them early access to products, give them tours of your facility, let them talk directly to the product and brand managers that help bring their favorite products directly to market. And above all, ask your ambassadors how you can make their involvement worth their while. You will be amazed, but one of the best ways you can compensate ambassadors is to give them better access to your brand, and to take their suggestions seriously. Listening to your most passionate customers and ACTING on their feedback is one of the best ways you can reward them. To be honest, simply paying ambassadors is pretty lazy. If that’s your best idea for compensating your ambassadors, then you really don’t know them very well. Go back to the drawing board till you come up with a better idea. Too many people will read this post, think it’s a great idea to launch a brand ambassador program, then do nothing about it. Yes, it may be hard to convince your boss to commit to it. Yes, it will take a lot of time. But the bottom line is, your customers are worth every bit of it. 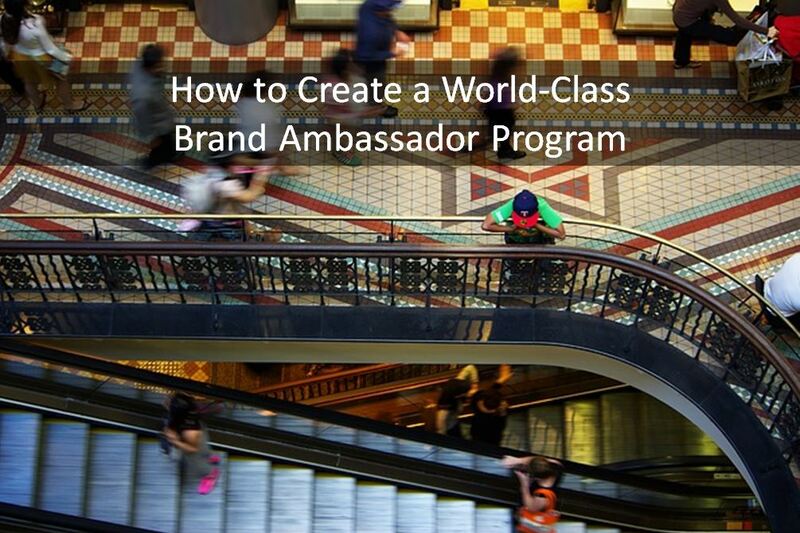 A well-run ambassador program is one of the greatest competitive advantages your brand can have. And as a brand employee, there’s nothing more satisfying than working directly every day with customers that genuinely LOVE your brand. That’s what you get to do if your brand runs an ambassador program. Start today, building the case internally for launching a brand ambassador program. Analyze your business, and detail all the ways that a brand ambassador program could positively impact your bottom line. Scroll back up to the section on integrating your brand ambassador program as I’ve already given you the list. Create a proposal for a brand ambassador program and present it to your boss. Don’t position as ‘this is what it will cost us’, instead present it as ‘here’s how our brand will benefit’. At worst, a well-run brand ambassador program should pay for itself. 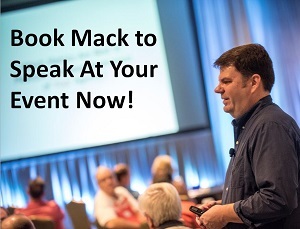 At best, it will be a huge competitive advantage for your business. Besides all of that, you are creating something amazing for your customers. You are creating a vehicle that allows your brand to not only get a better sense of who your customers are and what they think, but that also takes that customer feedback and IMPLEMENTS it and utilizes it within your brand. And if you need help making the case to your boss and creating your plan, feel free to email me. I’ll be happy to answer any question you have about creating a brand ambassador program, even if we don’t work together on it. I’ll be happy to help you get started, no strings attached, just reach out and I’ll be happy to help answer any general questions you have. Great ideas Mark, especially connecting ambassadors so brands can tap into the power of collaboration. Do you have any case studies or examples of brands who are getting conversions from programs that use celebrities or professional athletes as their ambassadors?